Come join us to celebrate Valentine's Day at the Highlander - a Scottish pub. Whilst I can't promise you the romance of the Jamie and Claire Fraser from Outlander, I can promise you great company with drinks and food. Your entry will provide you with one welcome drink of either beer, house red or wine, sparkling or soft drinks. Some nibbles will be provided for those that get there early. 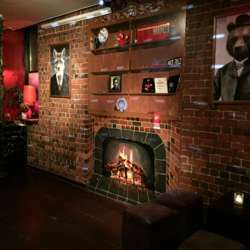 Located not far from Southern Cross station and just off Flinders Street, not far from the Aquarium, you will enjoy this unique venue that is one of Melbourne's hidden treasures.